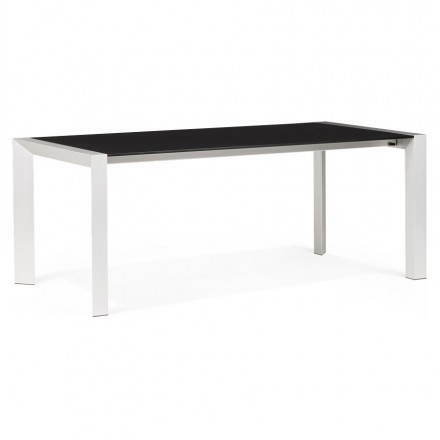 Discover a wide selection of tables on techneb shop. 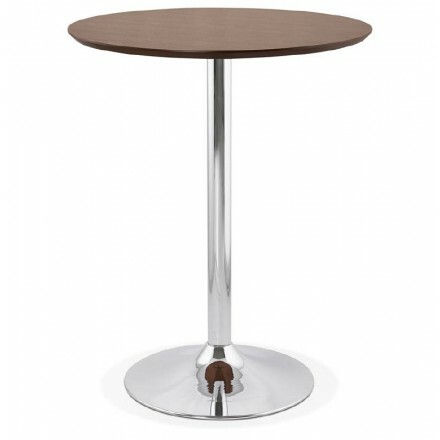 High tables, coffee tables, side tables, dining tables at attractive prices. The coffee table or dining table are centerpiece of your decor. Opt for the simplicity and minimalist lines. 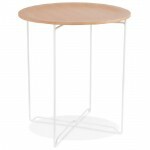 Get creative by designing your own models with our design table legs and trays of different materials﻿. The first tables date to antiquity with Egyptians who used stone platforms to place objects far from the ground. 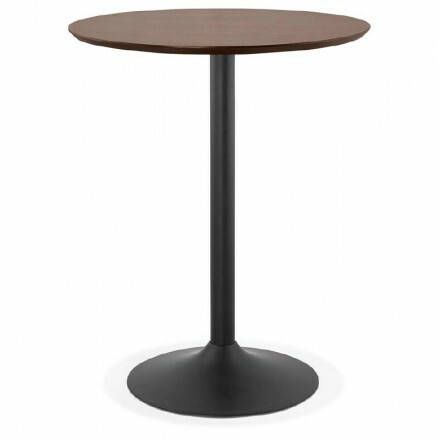 These first tables were not made to sit around and Egyptians did not eat on these neither. The Chinese also created this type of furniture very early to be able to do some drawing and writing. 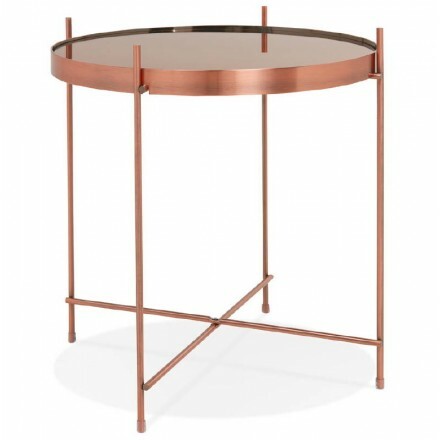 The Greeks and Romans began to use the tables to eat. These were made of marble, wood or metal (bronze in general). 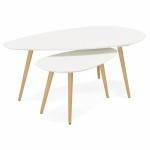 At the time of the Middle Ages, the tables were only long boards placed on trestles and were put aside at the end of the banquet. 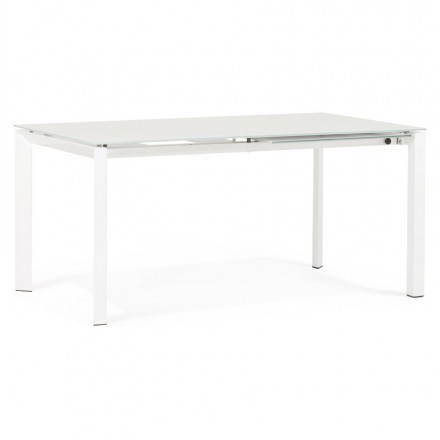 It is only during the Renaissance that the table became a fixed piece of furniture. With the appearance of the dining room in the 18th century, the table is accompanied by chairs. 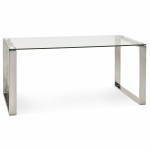 This furniture which passed through the centuries counts among its exemplars some celebrities who marked their time. 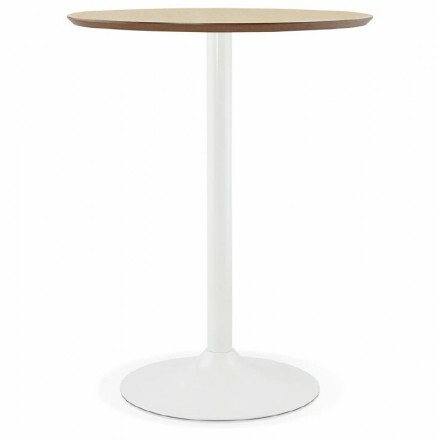 Take one of the most known and recognized : the King Arthur Round Table. We do not know exactly what it looked like since its history starts from a legend that has crossed the times, and by becoming the symbol that it is today, the legend around this table has been enriched by many stories and variations. 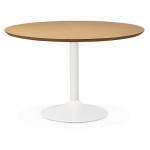 The first mention of the Round Table was in a British history book in 1155 and said that Arthur created the table to eliminate any possibility of conflict between his lords, because none of them would have accepted a less good place than another, problem solved thanks to the round table. Another source mentions a table around which could be held 1600 men. The most famous legend says that the table was created in the image of the table of the last meal of the Christ. It would therefore have 12 seats and a 13th left empty (symbolizing the treachery of Judah) that would be occupied only by the knight who would find the Grail. 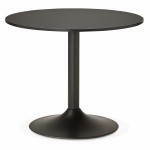 The round table: it is less massive than a rectangular table and thus adapts very well to small spaces. 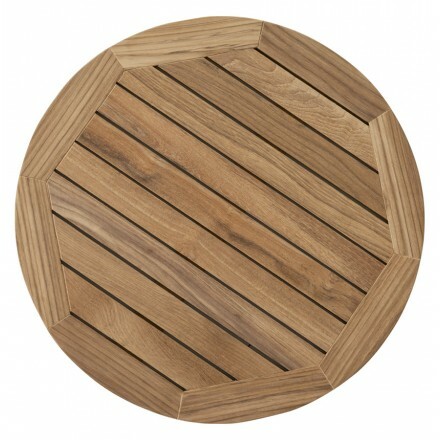 It is very fashionable at the moment and gives a very modern aspect to your interior. 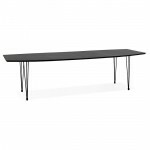 Its big advantage when it comes to a dining table is that everyone sees each other, enough to encourage exciting conversations or big debates. 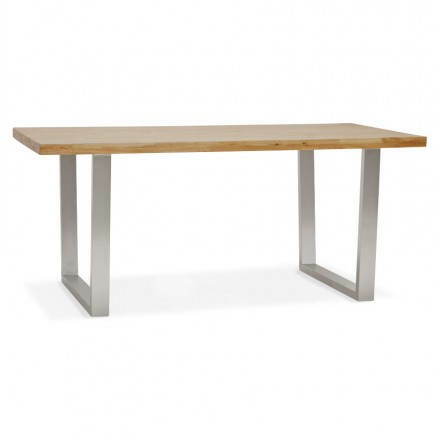 The rectangular table: The most widespread and the most sold, it is practical and sober. 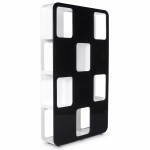 Easy to stick against a wall, it allows a space saving. It also gives a more square appearance to the room. 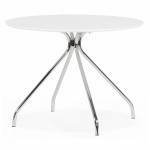 The extending table: Whether your table is rectangular or round, it can have a system of extensions, very practical for those who often have guests! have a look on the Table Design RINBO with extensions. 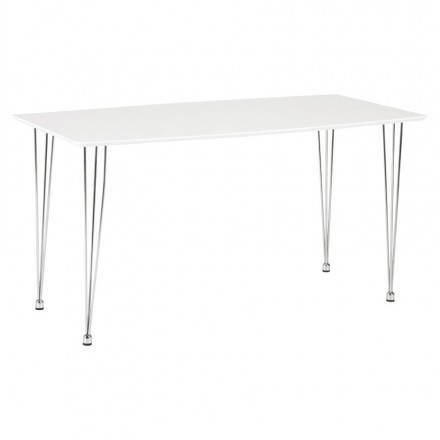 This kind of table will transform your interior according to the circumstances! 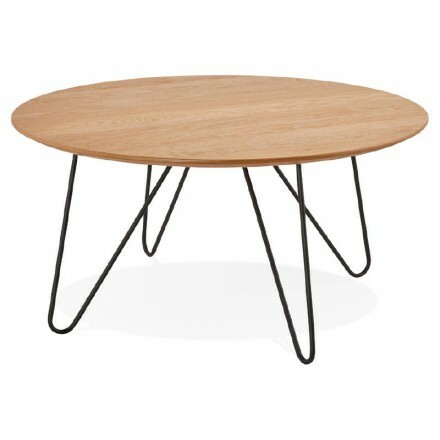 The coffee table: It sits in the center of your living room and therefore had to be chosen with care. 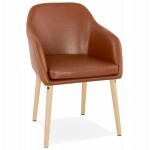 The best is to choose it last, in order to adapt its height to that of the seat of your sofa or your armchairs. It must also be in keeping with the rest of the decoration. Remember to leave enough space between the sofa and the coffee table so you can circulate (at least 50cm). 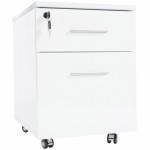 If you have a small space, you can choose it functional with drawers. 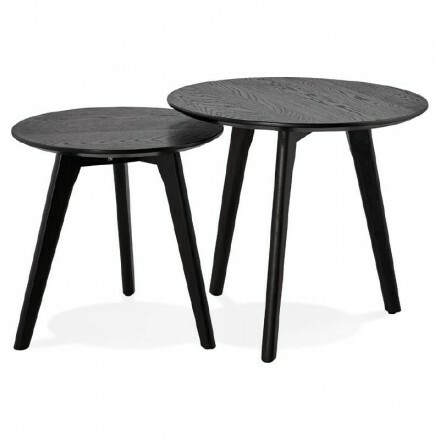 You can also opt for nesting tables (ART Nesting Tables), very fashionable and practical depending on the use you make of your coffee table. Make a clean break with dust! 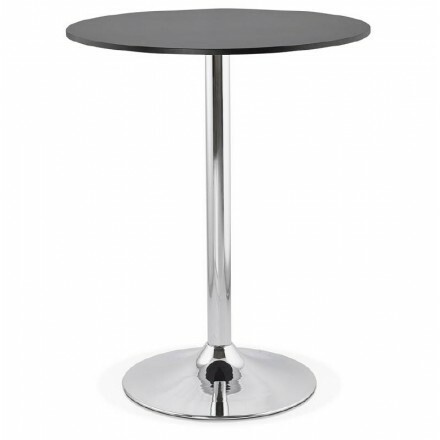 Now that you Have a nice table, you have to look after it! And for that a few tips that can help you heal your beautiful table! 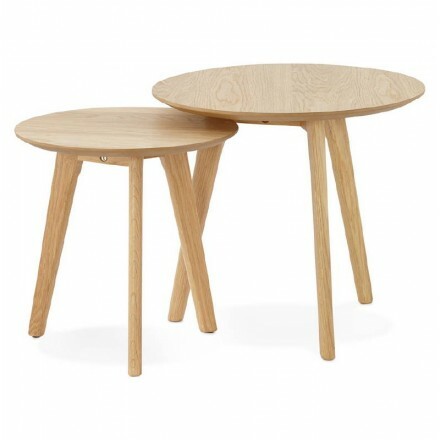 Let's start with the wooden tables. The best for cleaning them are the microfiber cloths that will leave no trace. 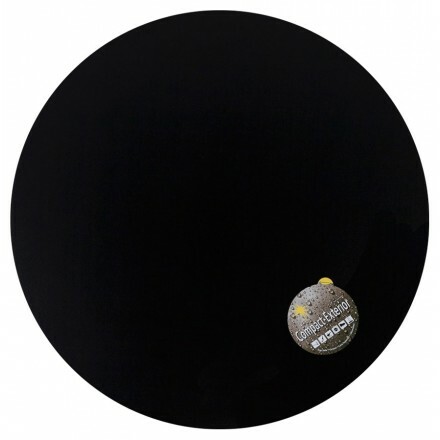 If the stains are too stubborn, rub the wood with warm water, black soap and a sponge. 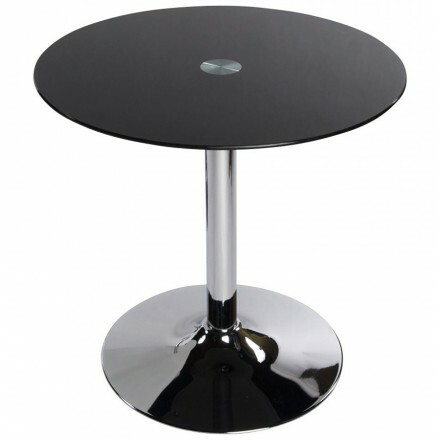 The glass tables are very sensitive of scratches! to clean with water and washing-up liquid on a sponge are enough, but be careful not to use the abrasive side of the sponge! 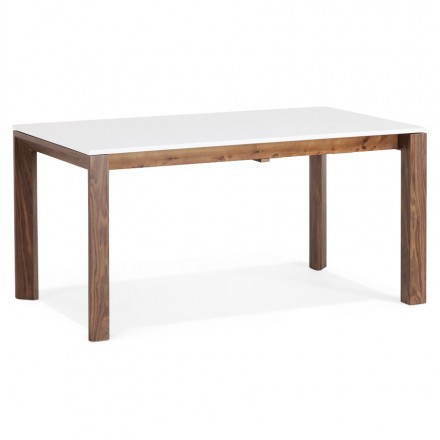 You can also clean it with white vinegar if you do not expose your table to the sun. For a concrete table, hot water and a sponge do the trick. 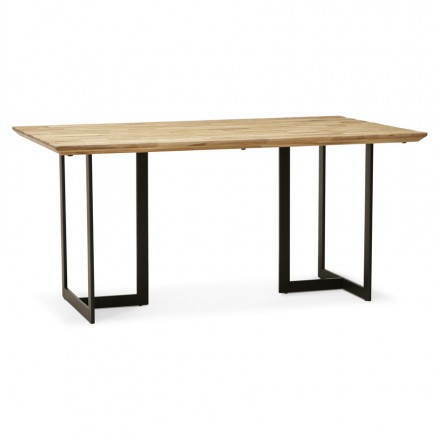 However, be careful not to cook directly on your concrete table because its porosity will easily absorb the oil and leave stains.Wrought iron tables fear rust above all else. To clean them, marseille soap and water, take care to dry immediately. 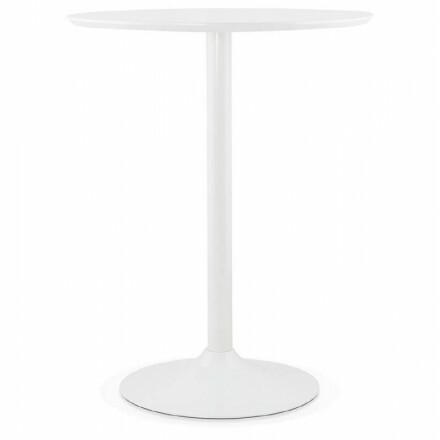 Finally, the ceramic tables are the ones that require the least maintenance. Clean with a simple blow of sponge with soapy water. After these tips, you have the choice! 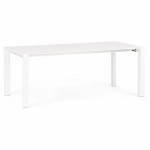 Count nonetheless on quality, the table is a piece of furniture that we use a lot and that can quickly deteriorate if we do not take care! 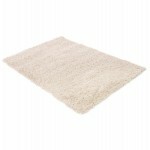 Simplicity and design are waiting for you with the rectangular carpet MADAGASCAR cream. 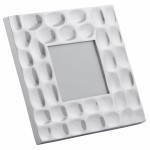 You can easily place it anywhere in your home. 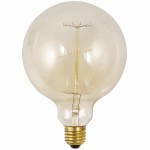 The round bulb at the vintage style and industrialist IVAN will complement your home with ease in the spirit of the past. 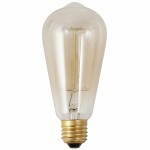 The long bulb IVAN embodies the style vintage and industrial. 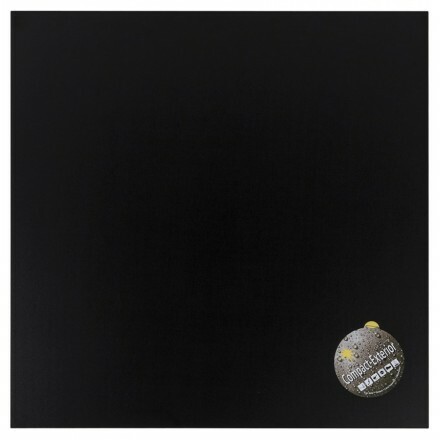 Slightly smoked, it will light your loft or workshop with ease. 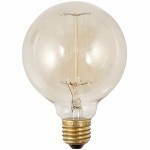 With a nerve screw, IVAN BIG vintage style bulb and industrial will know inside a loft and a workshop for an atmosphere of the past. 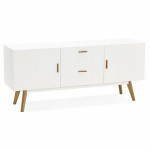 The enfilade KARL buffet 2 doors and 2 drawers of Scandinavian style will create a Nordic atmosphere in your home. 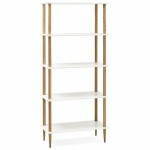 Sober and Scandinavian style, shelf library ERIKA offers 5 shelves to hold your trinkets or books. 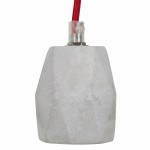 Suspension sleeve crude effect gray concrete to spice it up with a vintage for industrial effect bulb. 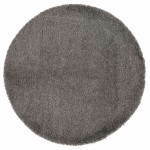 Dare simplicity by choosing the round MIKE gray rug to give a special character to your home. 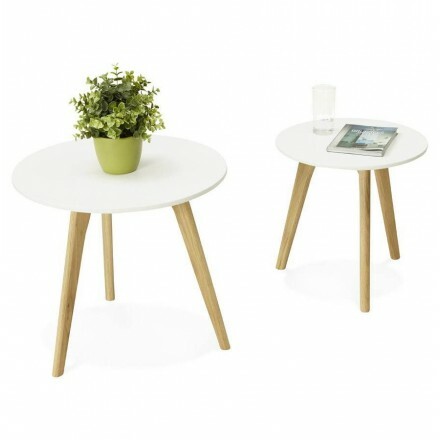 It will fit perfectly for a natural atmosphere. 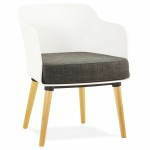 Padded Chair bla bla bla generously padded and upholstered in high quality fabric will be able to fit perfectly in your home. 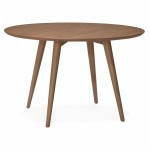 The round table vintage Walnut veneered wooden Scandinavian style SOFIA will bring a Northern look to your home. 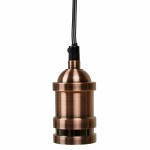 A breath vintage in your interior with this metal bushing copper lamp suspension EROS adjustable in height. 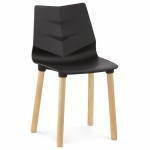 The black Chair, SWEDEN Scandinavian style will agree to any type of Interior and will be noted in your home by its sleek design and light wooden feet. 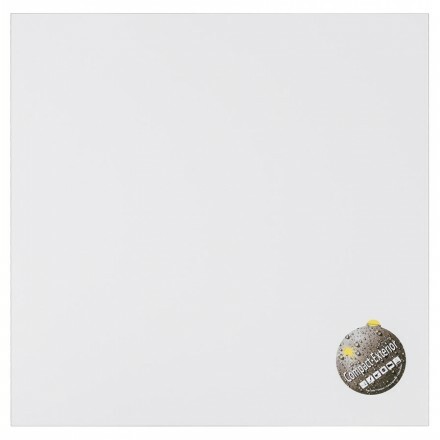 Perfect for interior trend, adopt the suspension 9 Sockets cluster for a warm industrial and vintage. 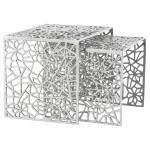 This multifunction BOUEE basket polished aluminum will allow you to store your fruits or other object. His style suits any interior. 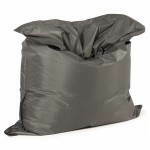 Millot rectangular puff in dark gray fabric. 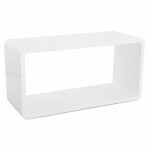 Resistant with its polyester cover, this ottoman sports a trendy and chic look. 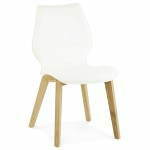 Comfort and stability its the watchwords of this Scandinavian-style design chair that will integrate perfectly with your decor. Refined and Scandinavian style, the room table eating Pony will integrate into all styles of Interior thanks to its minimalist lines. Style design and modern, black suspension in socket to integrate perfectly in your loft or your workshop for a vintage or industrial atmosphere. 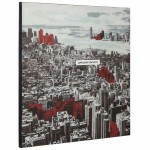 A nice decoration to showcase your photos with this framework SHEET aluminum. It will allow you to collect your memories. 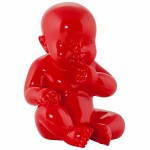 A perfect baby statuette Kissous in lacquered fiberglass to decorate a child's room. Perfect to please your kids. 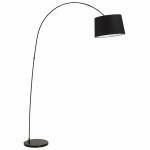 Refined and style design, the LOFT articulated floor lamp will fit in all styles of Interior thanks to its minimalist lines. 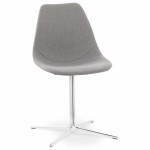 Elegance and style are the hallmarks of this Chair padded Scandinavian style. You will be charmed by its gray color and elegance won't leave you indifferent. 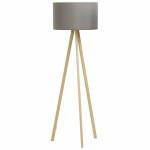 Trani The floor lamp is inspired by Scandinavian with 3 metal legs and shade cloth, it will suit all locations. 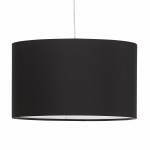 Light Hanging Lamp Lazio this black fabric is ideal for a bedroom or kitchen. 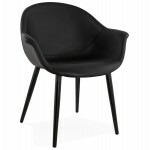 Design and modern style, the OFEN polyurethane and painted metal Chair adapts to a current and contemporary decoration. 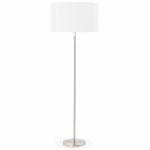 The light of Trani perfectly diffused over this lamp is as much a decorative item that lighting in your space. Combine the clarity of the glass and the robustness of the solid wood with the duo of coffee tables ART. Scandinavian and modern key to the appointment. 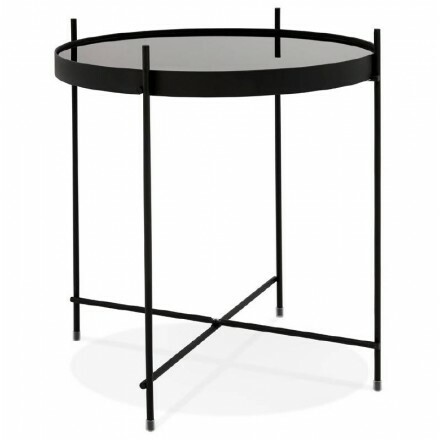 Large coffee table, TAROT will dress your living room. 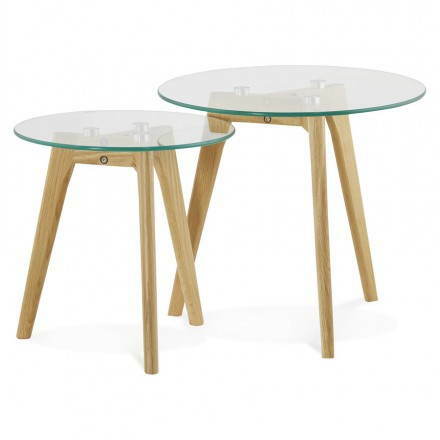 The glass sobriety and solid oak structure correspond to a Scandinavian design style. 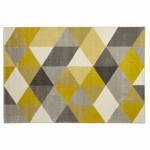 Simple geometric shapes and pastel colors, the carpet of Scandinavian style Geo has everything to fit into any interior. 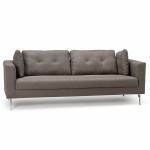 The upholstered sofa sets 3 LUCIA places in gray cloth to design contemporary and Scandinavian will complement your living room. 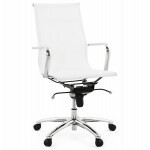 Office chair Crave textile white. 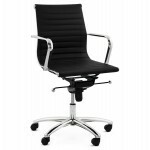 Light and strong this sleek chair will make your work more comfortable. 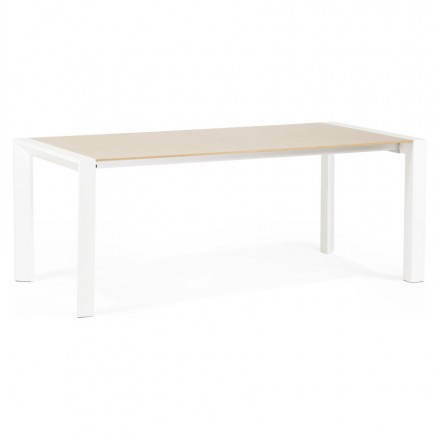 Macy table is sturdy and practical, wood painted white, it has two extensions subtly hidden in a drawer of the table. 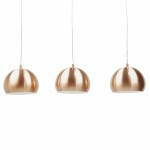 The hanging lamp Ara is a vintage, retro, which is perfect for large parts of your intérireur. 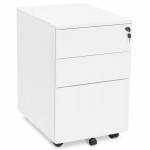 With 3 drawers, the Office MATHIAS subwoofer is white but before all safe, practical and easily movable. 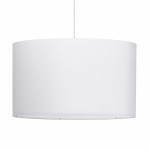 Lazio white pendant lamp is made of fabric for a contemporary look that will delight with simplicity your spaces. 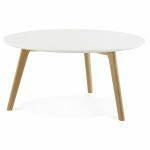 Round BRAID dinner table in wood and painted metal of styte Scandinavian is practical and timeless. It will be essential for your contemporary interior. 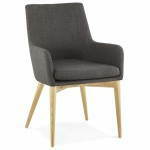 Maxime armchair textile dark gray Scandinavian style and foot light wood. It is chic and simple at the same time to adapt to all types of decorating. 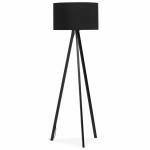 Trani The floor lamp is inspired by the Scandinavian model, with 3 metal legs and a shade cloth she really out of the ordinary. 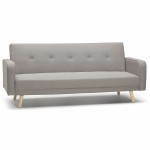 Lines retro and Scandinavian of the padded sofa URSULA 3 places in gray cloth will bring a relaxing zen atmosphere to your home. 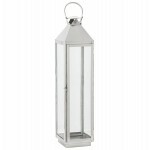 traditional cylindrical hanging lamp, the lamp Latin suit all environments and with all lamps. 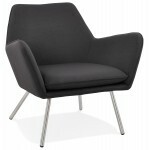 At the timeless look, the contemporary design chair SFOE generously padded fabric will be able to complement your decor. 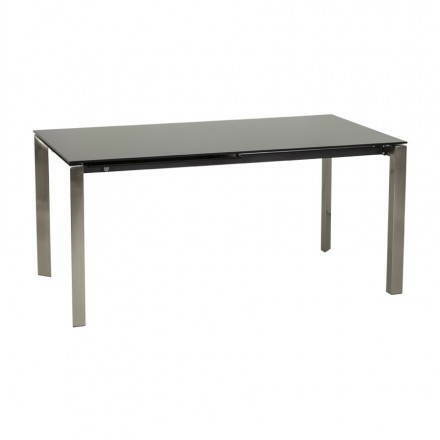 The right design INGRID glass desk with a solid chrome steel structure is a contemporary and modern style. 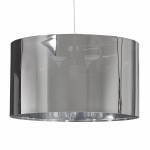 Aversa is a metal arc lamp lampshade is fabric, it is a clean and simple style for all styles of decoration. 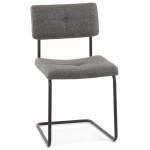 A high stability and robustness and easy maintenance, the Lola of superior quality Chair will develop your interior with ease. 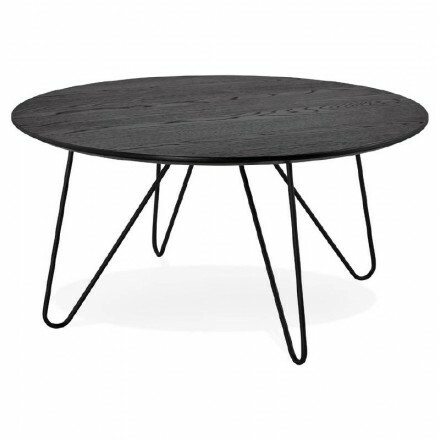 A beautiful table meal round BRAID Scandinavian design in wood walnut and painted metal finish that will highlight your interior. 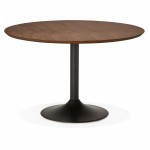 Manufactured in painted metal and wood MDF, the Roundtable of meals or design work NILS ensures perfect stability and brings a modern touch to your interior. 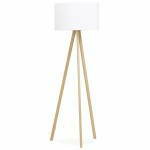 The suspension sleeve raw simple and minimalist will bring a touch of originality and contemporary to your loft or workshop. 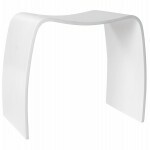 Make fun without you breaking the Bank thanks to the Chair design chair with armrests for a deco contemporary comfortable polyurethane. 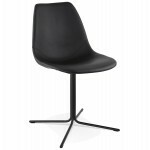 Rotating 360 degrees for perfect mobility, design chair Romane brings great comfort and a modern touch to your decor. 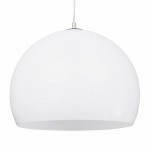 With his style seventies this fixture suspended Pavia and its retro design will take you back in time. 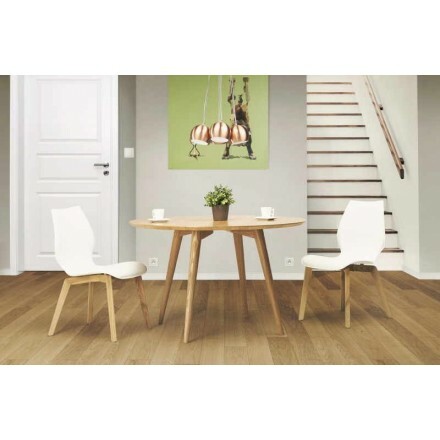 You will fall for this versatile Chair FJORD in polyurethane and oak wood of great comfort at low prices. From a simple, modern style, the Quetzal luminaire is ideal for lighting a specific area of ​​your home as a reading area or work. 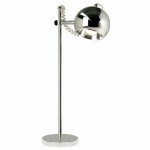 The design of the Batara table lamp with its chrome metal confection will be perfect to adorn your desk or bedside table. A nice job of polished aluminum for this round fruit basket PRINCESS original and decorative. Enjoy its petals bring smiles. 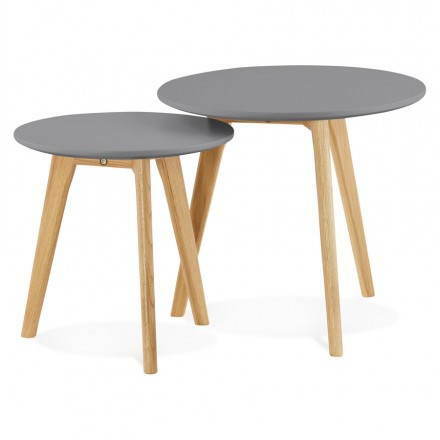 Nesting tables are practical and decorative. 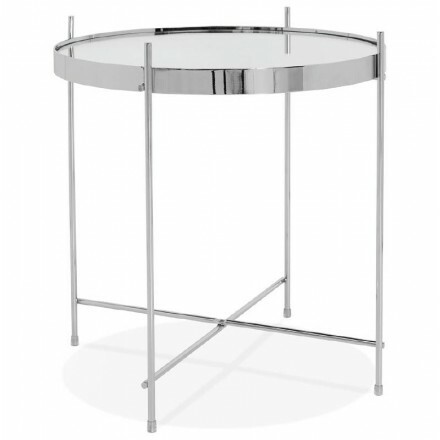 Polished aluminium, they are produced in a traditional way in the workshop and they will delight design lovers. 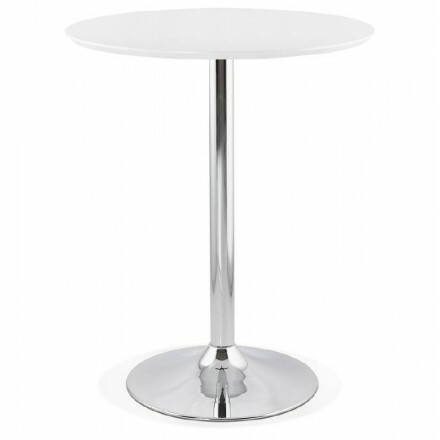 With the unique look of the coffee table Lady lounge is aluminum. 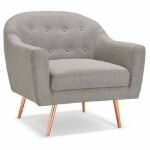 Perfect for furnishing the living room with a chic and cozy mind. 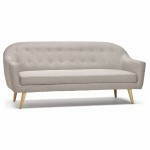 Timeless and classic, style the fixed sofa IRINA 3 places in dark gray cloth will bring modernity to your living room. 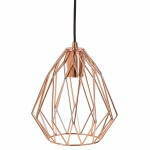 Need illuminate a bar, kitchen or even your hallway? 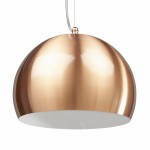 Well, the hanging lamp made of Puglia 3 metal balls copper is there for you. 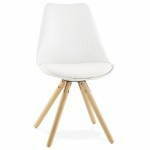 The Chair vintage Scandinavian style leather Marty is very comfortable with all four feet in solid Ash and its shape perfectly marrying the back. 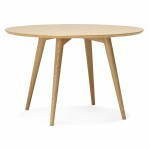 A Nordic breath in your interior with this room table eating barley wood which gives it strength and stability. 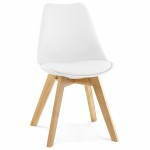 Nordica modern Scandinavian style white chair. 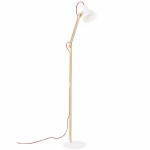 For a light and pleasant decor beech her create a warm atmosphere in the room. 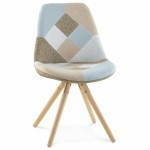 The patchwork Bohemian Scandinavian style Chair will complement any interior thanks to its warm and pastel colors. 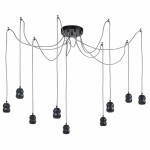 The MOSS height adjustable suspension of industrial and vintage style and design structure and air will customize your decoration. 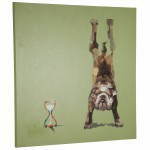 Fall for this decorative canvas BULDOG will give an animal for your home. It will take place in a living room, bedroom or entrance to your home. 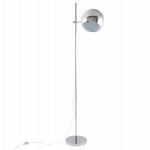 Superb assortment of lamps 7 'Gela' suspended with metal retro design. 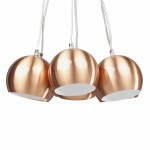 It perfectly illuminate any room in your home. 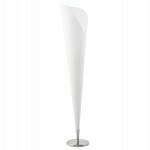 The lamp on LAZIO adjustable foot in height of style Scandinavian will complement your décor with ease thanks to its round white fabric Lampshade. 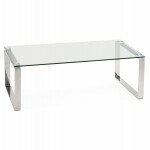 Certainly design, the BETTY coffee table will seduce you with its 10 mm glass top and his feet in chromed metal. Materials in perfect harmony! 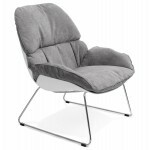 The armchair design lounge gray soft fabric is open for your moments of relaxation and customizes your Home Interior. 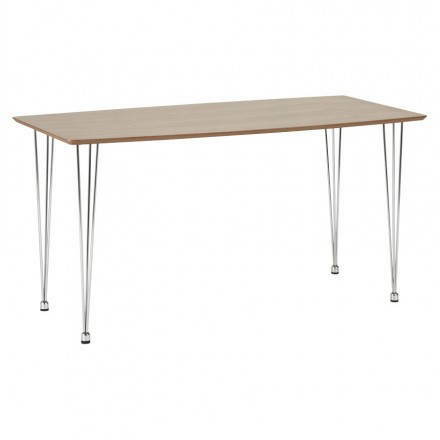 rectangular design table with Solo extensions in oak veneer and metal natural wood. 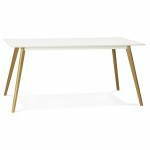 Perfect for a modern dining room. 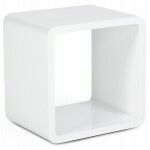 Cube multipurpose use white lacquered wood Back to original form and with a sleek design. Suitable for all decorations. Sleek, low stool Meuse is made of white painted wood. 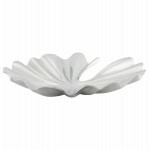 The delicacy of its design allows it to adapt to all kinds of decorations. 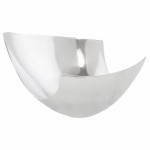 Trash multifunction BOL polished aluminum bring originality and novelty at your meals. It is practical and functional. 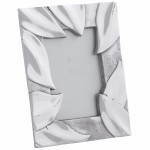 Fill your home and gather your memories with this beautiful photo frame MARTEL aluminum. 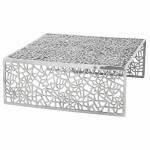 It will bring a contemporary touch to your interior. 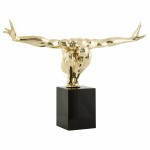 GREYHOUND The statue is the original decorative accessory for an office or living room. Découverez this statue polished aluminum fluid and clean lines. 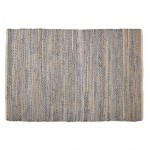 refined atmosphere sure hit with the MIKE round gray carpet that will bring your home a modern and contemporary decor. 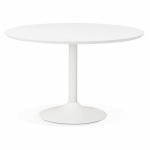 Table modern and round shape design, Minou table is painted wood and white metal. 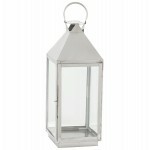 It is ideal for indoor or outdoor. 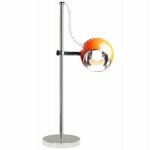 With its oriental design orange metal table lamp Batara bring a bright and warm atmosphere in your rooms. 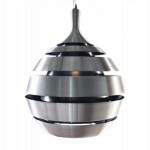 The pendant luminaire Trogon with its unusual design will transform your whole interior with its metallic and silvery. 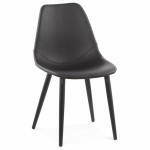 Office chair Couris black polyurethane strongly inspired by Charles Eames a big name in design. 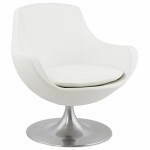 timeless and affordable chair. 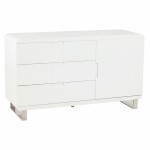 Cupboard low CORSE in white or lacquered wood dresser for a room, this furniture will help you organize your home. Need a modest storage? The Florida office box is for you. 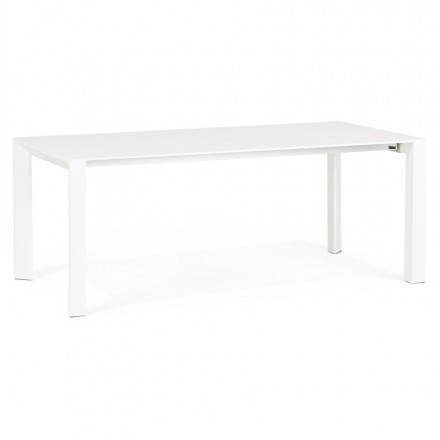 White lacquered wood, it will complement your décor smoothly. 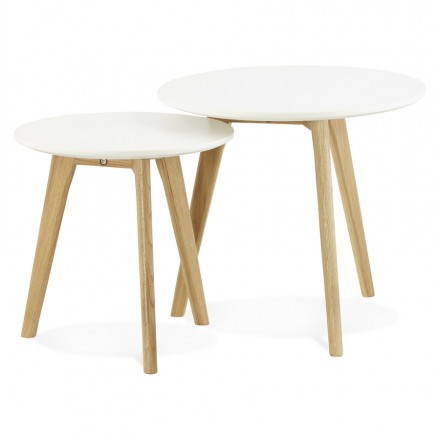 You are looking for a comfortable and simple model? 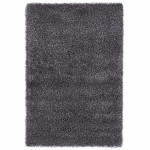 So you've found the MIKE gray rectangular rug easy to clean and robust polypropylene. 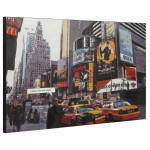 With this decorative canvas colorful TIMES SQUARE, do enter the charm of New York home. Fun and colorful, it will appeal to fans of urban deco US. Need tranquility? This is possible thanks to the drongo lantern that will broadcast the natural light of a candle in your home. For a return to anything as this great drongo lantern. Post the warm light of a large candle at home. 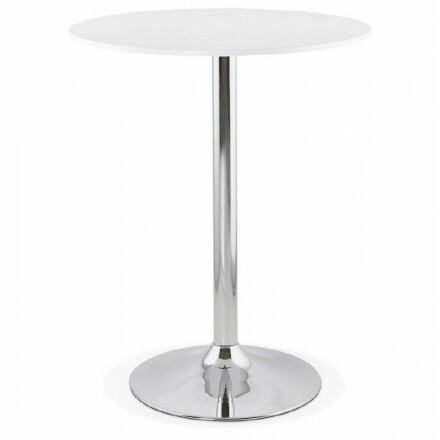 Polished aluminum, table DIAMOND center offers modern design worked. 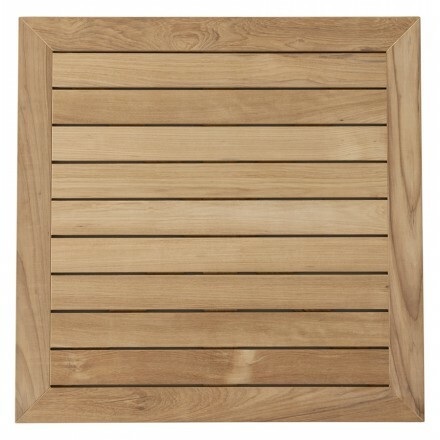 It is wide enough to accommodate your fruit or potpourri. 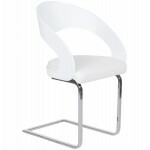 Loing design chair in lacquered and polyurethane of timeless and sleek style. She brings a real most in indoor decoration. Sterne is an ultra light design model sheet form bent on it. 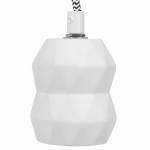 It will bring a warm glow to your home. 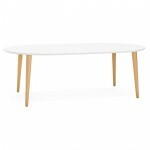 Recto coffee table in white lacquered wood that can be used as a coffee table, bedside, or extra as you want. 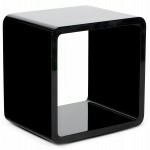 Stackable, the cube-shaped furniture Verso is versatile use. 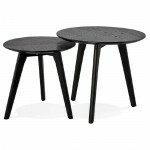 It is in black lacquered wood, a material that is easily inserted into the decor. 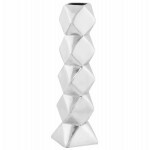 Offer your flowers original way through this vase in polished aluminum diamond-shaped design that boosts your decor. Polished aluminum, door WAVE bottles will provide strong and effective storage and bear your best bottles. 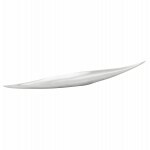 Purpose of atypical interiors, this BANCO swimmer statuette lacquered fiberglass will be the key and fun design of your interior. 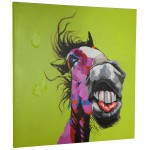 Discover this beautiful decorative canvas HORSE dedicated to lovers of this magnificent animal. 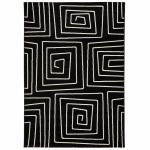 This fabric is ideal for tastefully decorate your interior. 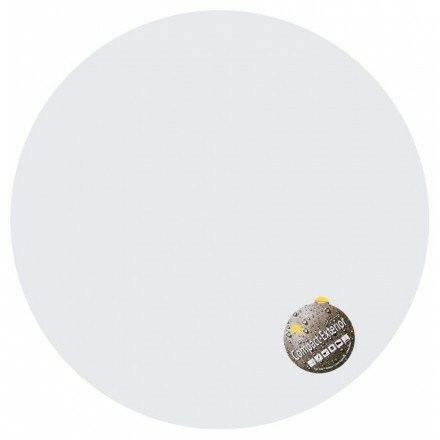 Relooker un escalier : faut-il le peindre en blanc ou en noir ?